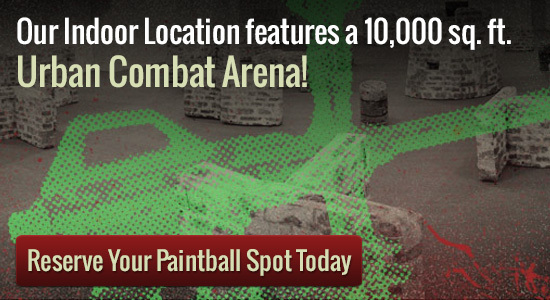 Looking for a paintball shop in the Twin Cities? Here at Splatball you can rent all of the equipment you need to play a fun game of paintball with friends. But if you are looking to purchase paintball guns and gear you may want to check out our Minneapolis location?s Pro Shop. You can get seasonal passes or rent the venue out for birthday parties or corporate game days. Playing paintball allows the players to get rid of the stress that they carry and enjoy their time together. When you enter in the paintball retail outlet for the first time you might feel stressed with the things available. However, after getting a few questions answered you will feel right at home. Our employees are common warm and friendly and very experienced. The paintball store at Splatball lets you continue to keep stocked through to everything that you need, as well as pistols and face masks you employ to play a whole bunch more. Trying to perform some paintball along with your new items? When you go to Splatball games, the best paintball park your car from the Twin Cities, you should have a wonderful time. If you have a group of eight or less, this park is available for private games and you can walk-on. It is possible to arrange a spot at Splatball games. Their pleasant staff members and up to date game playing devices is a superb commence to an entertaining bet on paintball. You owe it to you to ultimately use this incredible game for yourself and find out exactly how much fun it is. Every person in your celebration is certain to get pleasure from their time taking part in the game of paintball.